to talk about a different perspective on love. One that isn’t all hearts and flowers. gritty. She does just write romances, but those are what I want to talk about today. Because I’m working on a couple of projects with her, I’ve had the chance to spend a little more one-on- one time with Velda, and get to know her. She’s been around a little longer than some of us have, and experienced a few more things. And no matter how arrogant we are, we’re going to have to admit that she’s bound to know more about love. 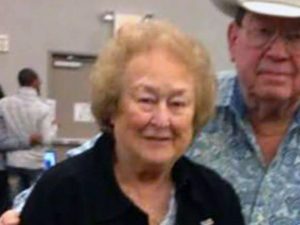 I don’t know much about Velda’s personal life, and all that she has been through, but I do know that she was married to one man for many years, and was always true to him. Think about that. One man. In today’s world of transient relationships that’s something special. 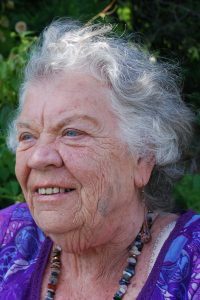 Right now Velda is working on a sequel to a book she wrote in 1985, but didn’t publish until a few years ago. This book is called Beyond the Moon, and is dear to her heart. Recently I read this book for the first time, and I was stunned by the depth of love portrayed by her characters. 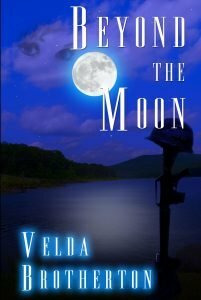 Beyond the Moon is the story of a Vietnam POW who comes home and ends up in the local VA hospital because he just can’t find his way back to the world. It is the story of an artist who recently lost her husband, and is trying to build a new life without her longtime partner. It is the story of these two people finding each other in a world that is new and strange to both of them, and learning what REAL love is. It is not always hearts and flowers. Sometimes it is tears, and nightmares, and fears of the unknown and the unknowable. It is standing beside the one you love, not because you should, but because it is the only thing your heart will let you do. Beyond the Moon is a book I would recommend everyone read. If you’re a woman, a man, a person who’s been in love, a person who thought they were in love once, a person who’s never been in love—this book is for you. Yes, there is romance. But above all, this is a love story. The advantage of working in the publishing industry and meeting writers from different genres is that I get to meet the most interesting people in the world. I have the opportunity to learn more about different geographic areas, different time periods—past, present, and future—and meet incredible characters. As readers, I know that you have favorite characters. Characters that you just can’t get out of your mind, that steal your heart, that you wish were real and you could learn more about after the book is finished. If you are very lucky, the character is part of a series that you can follow along with. If you are incredibly lucky, the character you adore is real. In January 2018, I became an incredibly lucky reader. I met a character in a book, a young girl named Avery. Avery is very real, and very brave. Let me introduce you to her. Avery lives in Canada, a country that I dream of visiting someday. A few years ago her mom Jodi looked at Avery’s back, and noticed that it looked, well, different. Jodi noticed that Avery’s spine appeared to curve a bit more than it should, and in a direction that it probably shouldn’t. A visit to the doctor confirmed their fears. Avery was diagnosed with scoliosis. Personally, I knew very little about scoliosis before reading this book. I thought it was just something that people lived with, or at worst they might have to wear a back brace for a while. But not in Avery’s case. Her prognosis was so severe that surgery was her only option. Imagine if this happened to you. You’re going along in life, don’t even feel like anything is wrong, and the doctor tells you that you have to have surgery. And not just a little surgery, like having your tonsils out, or your appendix removed. The doctor wants to cut your back open along your entire spine. Now add the fact that you are a preteen girl. I don’t know about you, but I’d be terrified. I don’t mean to minimize the effect of this news on her parents, or on her brother. This is their story too. 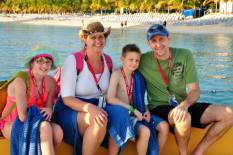 This is the story of an entire family and how they acted and reacted to the diagnosis. As a mother, and a former preteen girl, I followed their story with trepidation and couldn’t help but think of how I’d react to the situation. And let me say, I don’t think I would have been as strong as they were. One of the things that they did was turn to the internet for information. Not just medical insights—the doctors could provide that—but real-life anecdotes about what to expect during the process. And you know what they found? Almost nothing. So in an effort to help others, as well as deal with their own fears, they started a blog. On the blog, they took turns telling their story, so readers got different perspectives. And from that blog grew this book. But don’t worry—this book is much more than a collection of blog posts. Yes, there are a sprinkling of blog posts throughout. This is a great way to experience the thoughts and feelings of the family throughout each step of the journey. The book also includes medical information about the journey and pictures. Lots of pictures. Pictures of the family, and before and after pictures of Avery’s spine. That’s right folks—this determined girl not only bravely faced major surgery, she allowed her family to take pictures of her back, both before and after surgery, and she allowed the pictures to be shared. With total strangers. Around the world. Because she wanted to share her story with others who might be facing the same thing. I don’t know about you, but there are very few pictures in existence of me at that age. I was awkward, and shy, and did not want pictures taken at all. And certainly not pictures this personal. And if someone did take a picture, I didn’t want anyone to see. 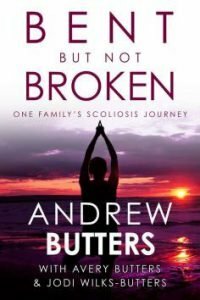 The title of the book is Bent But Not Broken, which perfectly sums up Avery Butters. When you get your copy of the book, you’ll notice that she graciously allowed her father Andrew to place his name as the main author, and her mother Jodi to have her name as an author as well. They did contribute significantly, and they wrote many of the words between the covers of the book. But Avery is the real author of this story. She lived it, she wrote it, she shared it with the world. So buy her book—she’s a character you’ll never forget. And best of all—she’s real. What can we say about Dusty? The real question is what can’t you say about him? To say that he was larger than life is the grandest of understatements. He was an irresistible force and an unmovable object all rolled into one, a personality wider than the western skies he wrote about. He was an eternal optimist, a man who woke up each and every day renewed and ready for the next job, the next challenge, the next good fight. He was a father, a patriarch, a mentor of the first order. He toured the country teaching and encouraging new and experienced writers alike, challenging them to follow his lead, tell the next inspiring story, pen the next Great American Novel. 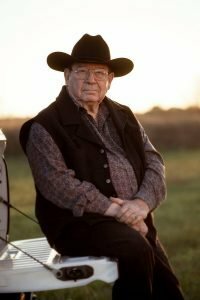 He was a fighter, a lover, a joker, an entrepreneur, a canny businessman, a television and radio personality, a famous rodeo announcer, a cowboy, and, perhaps above all else, a master storyteller. Dusty was everything that fit under his trademark ten gallon hat and so much more, and we could keep writing for a year and not do him justice. He was a legend, and one that touched the lives of many, many thousands—possibly millions—of people. What would he say to us right now? “Dig in those spurs and get on with it.” He’s sitting around that big ol’ campfire in the sky right now, Pat at his side, swapping stories with the likes of Zane Grey, Louis L’Amour, and his old friends Jory Sherman and Cotton Smith. He was not one for self-pity, grief, or taking his foot off the gas for a second. He wouldn’t want to be grieved, but celebrated. He’d want to keep his memory alive by following his lead. By chasing the sunset with all that we’ve got, pursuing our dream, living with passion, and cherishing the ones we love. And that’s what we’ll do, how we’ll honor our beloved father. Keep writing. Keep fighting. Keep telling stories. Keep doing what Dusty did until we can’t anymore. Joh n Lennon once said, “Life is what happens when you’re busy making other plans.” And so it always goes. 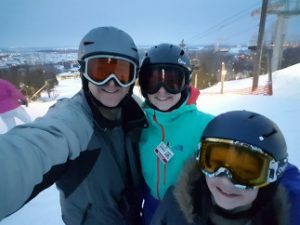 While we were all busy planning vacations, honeymoons, family gatherings, and drumming up Christmas cheer yesterday, two other members of our family had life throw them a curveball. For those of you who don’t yet know, our friend Dusty Richards and his incredible wife Pat were involved in a serious car accident yesterday afternoon near their home in Springdale, Arkansas. Both are now in critical but stable condition in a local hospital, though Dusty remains in a coma after incurring a head injury during the crash, and Pat is currently undergoing surgery for a spinal injury. There really are no words to convey the depth of our grief over this turn of events. Dusty is a true living legend. A big man with an even bigger personality and a heart of gold, there isn’t a writer in this region whom the Ranch Boss hasn’t helped or influenced at some point in the last thirty years. 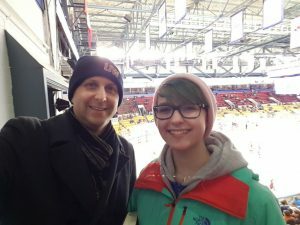 Heaven knows he’s had a massive influence on all of us here at Oghma, and there has never been a better mentor or greater friend for any of us. As for Pat, she’s the perfect foil for our favorite cowboy, the epitome of grace under fire, as quiet as he is boisterous, but as strong as they come. They’re a matched pair, and one we’re honored to count among our family. Even if you’ve never had the pleasure of meeting Pat or Dusty, please glance through these photos of him, and join us all here in the Oghma Creative Media family in keeping them and their loved ones in your thoughts and prayers, both today and in the days to come.